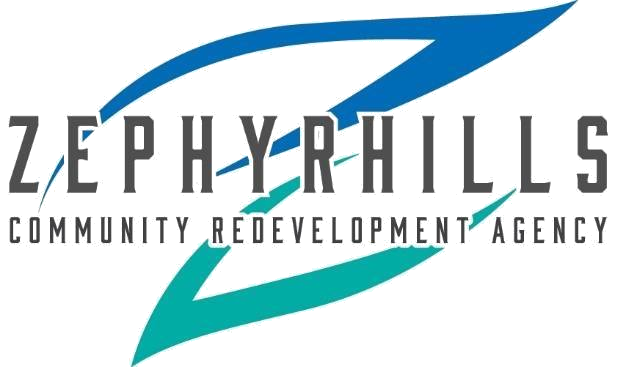 Member Directory — Main Street Zephyrhills, Inc. When you support Main Street Zephyrhills, Inc., you become a benefactor of the revitalization projects our group undertakes. You will also receive advance notice of special events, promotions and other activities by our organization to benefit our community. In addition, our business members may promote their establishments through profiles and links on our website and other promotional opportunities we provide. Your membership will provide a great return on your investment. The voice of our members is the touchstone of our organization. We rely on you to help us make a difference in our commitment to the enhancement of our community. Please take the initiative to invest in us. Our firm has spent nearly 30 years fighting for people just like you. Here you’ll find an attitude that takes no case lightly… and an attorney-client relationship that just feels comfortable. Your next decision could be one of the most important you’ll ever make. Call us. If we can help you, we will. One of the top-selling automotive retailers in the country is right here in Florida. The Jim Browne Automotive Group employees about 300 local residents. Jim Browne Automotive believes you should browse and buy with complete confidence. Warranty Forever is a real powertrain warranty that lasts for as long as you own your vehicle. So when we say FOREVER, we really mean FOREVER, at NO cost to you! With superior coverage, you will have true peace-of-mind throughout your ownership experience. Jim and Jill Browne are proud to serve the community alongside their employees. The Jim Browne Automotive family offers time and financial contributions to many organizations, charities and events in the community. Pasco News Publications, Inc. is the home of the Dade City News, East Pasco Senior News and Zephyrhills Free Press. The A.D. Morgan Corporation maintains an outstanding reputation in the construction industry as Construction Managers and General Contractors. With offices in Tampa, Bradenton, Sebring and Cocoa the company currently employs almost 50 people with annual revenues of approximately $80 Million. The company’s project experience is diverse with projects that include educational facilities, corrections facilities, offices, retail, food service, television and radio stations and research and University projects through out the state of Florida. When you've tried the rest call the best! AC/Heating, Ductwork, Residential, Commercial, Change Outs and service. We can help. Christian Family Owned and operated since 2001 in Zephyrhills, FL. Servicing Central Florida and more with Quality Service, Sales, Installations. We Can Help! We take pride in delivering unparalleled service to all of our customers Servicing both Commercial and Residential customers, we have the knowledge and experience to fix the problem you are having. Kaufman Eye Institute provides a variety of eye care services for the greater Wesley Chapel,Zephyrhills, Bushnell and Sun City Center areas. Call today! We are a local, family-owned and operated, full-service, independent insurance agency. We have served the citizens and businesses of East Pasco since 1946. We are known for outstanding service and unquestionable ethics. Our agency has been built on honest, long-term relationships. For more than 35 years, Schaper Companies has provided construction services that our customers have used to help launch their projects, keep them under budget and on time. We know the ins and outs of construction like no one else and our knowledge can make the difference between a successful project and a costly one. Personal Injury Law Firm. Being involved in a motorcycle or auto accident can be a very stressful time filled with many unanswered questions. I’ve dedicated my career to helping accident victims and their loved ones. My goal is to provide you with competent legal counsel with heavy experience in representing the injured motorcycle riders and automobile drivers and passengers from all across the state of Florida. If you have been injured in a motorcycle or auto accident please call me 24/7 @ 1-866-LAW-FRAN for a FREE case evaluation and advice on getting your bike or car fixed and you back on the road sooner! Lifestyle Portrait and Wedding Photographers for the Tampa Bay area and beyond. We provide a fun and low-stress experience, delivering images that are bold, vibrant and full of life. East Pasco Meals on Wheels, Inc.
Ryman Construction of Florida, Inc.